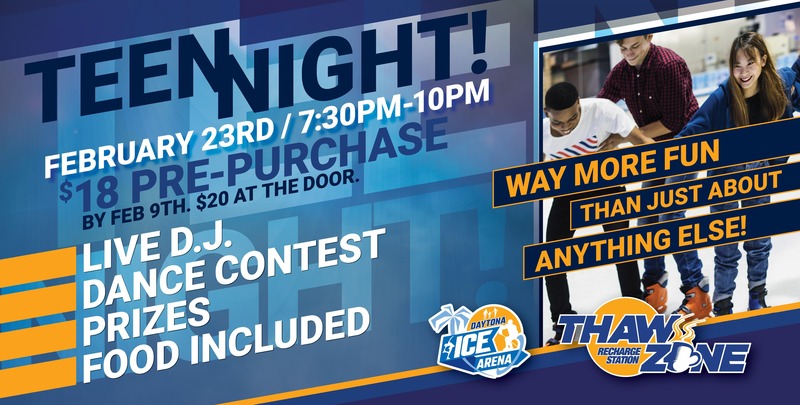 Come Join us for Teen Night on Ice Live DJ with todays best music and cool throwbacks Dance contest with the brave and bold Raffel prices given to random guests Includes a jumbo hotdog, chips and a drink $20.00 at the door$18.00 in advance! Buy tickets now and Save! $20.00 at the door$18.00 in advance! Buy tickets now and Save!